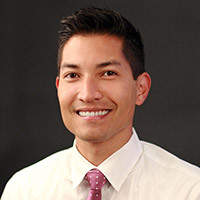 Dr. Brandon Ito, MD, MPH completed his undergraduate degree in Human Development with minor studies in Psychology and Healthcare & Social Issues from the University of California, San Diego. He completed his medical training at the University of California, Irvine School of Medicine, where he served as class president and inducted into the Gold Humanism Honor Society. During his medical training, he took time to complete a masters degree in public health at Harvard University with a concentration in family and community health. Following graduation, Dr. Ito completed his adult psychiatry training at the University of California, San Francisco and completed specialized training in LGBT mental health and participated in the Clinical Scholars global health pathway. Dr. Ito completed his fellowship in Child & Adolescent Psychiatry at New York University, where he served as the Chief Fellow and worked at the NYU Child Study Center, Bellevue Hospital, and the New York State juvenile justice system. Dr. Ito is particularly interested in medical education and teaching, global mental health, LGBTQ+ mental health, and reducing health care disparities in vulnerable populations. He is the Director of the Pediatric Resilience in Development and Expression (PRiDE) Program in the division of Child & Adolescent Psychiatry for LGBTQ+ youth. Janssen A, Ito BS (2018). Gender Dysphoria and Psychotic Spectrum Disorders. In Janssen A, Liebowitz S (Ed), Affirmative Mental Health Care for Transgender and Gender Diverse Youth: A Clinical Guide (pp 181-188). Cham, Switzerland: Springer International Publishing. Ito BS (2018). DACA, DREAMers & Mental Health. The Southern California Society of Child & Adolescent Psychiatry Newsletter. Available at http://www.scscap.org/assets/scscap-newsletter-2018.pdf. Betancourt TS, Abdi S, Ito BS, Lilienthal GM, Agalab N, Ellis H (2015). We Left One War and Came to Another: Resource Loss, Acculturative Stress, and Caregiver-Child Relationships in Somali Refugee Families. Cultural Diversity and Ethnic Minority Psychology, 21(1): 114-125.